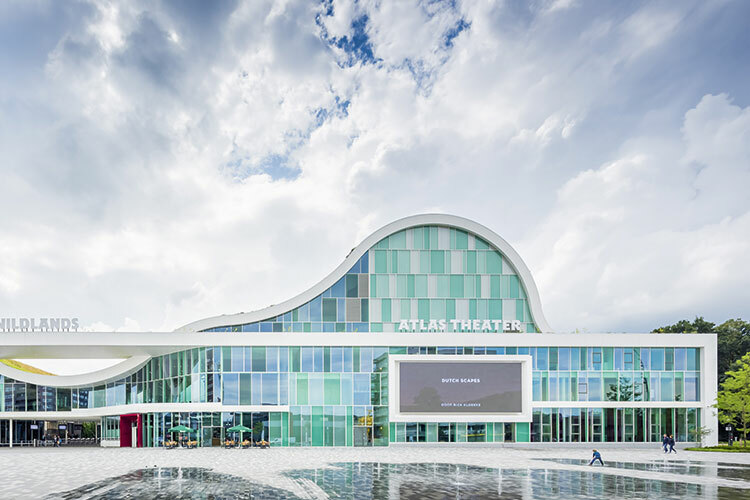 The Atlas Theatre, based in Emmen, Netherlands, opened in October 2016, offering a multifunctional theatre and conference space within an impressive complex that even includes the Wildlands Zoo. In the large auditorium, a d&b audiotechnik Y8 line array system has been installed for theatre plays. d&b audiotechnik E-series in- en outfills support the line array system for a balanced and very clear sound for all seats. The Y8 system can easily be taken out, making room for a permanently-installed Renkus-Heinz Iconyx Live system. 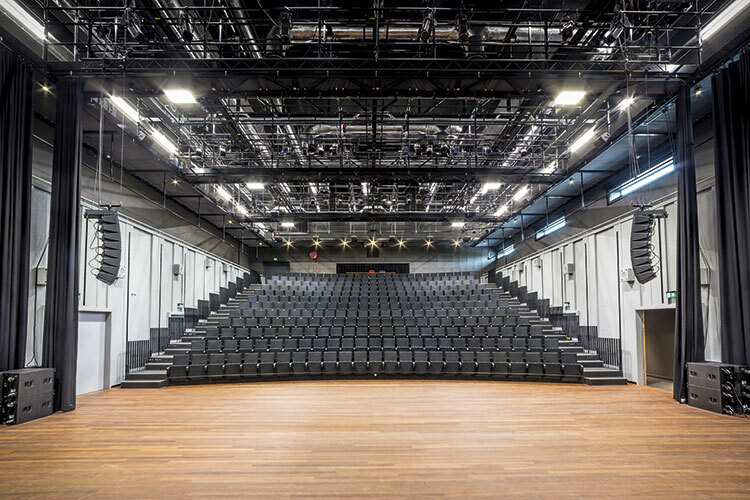 “The IC Live system, with its active beam-steering technology, is for this venue the ideal system – it’s very versatile,” explained Frans van Houten. “The system performs as a fixed installation with three beams per side ensuring even coverage over the floor seating and the auditorium’s two balconies. 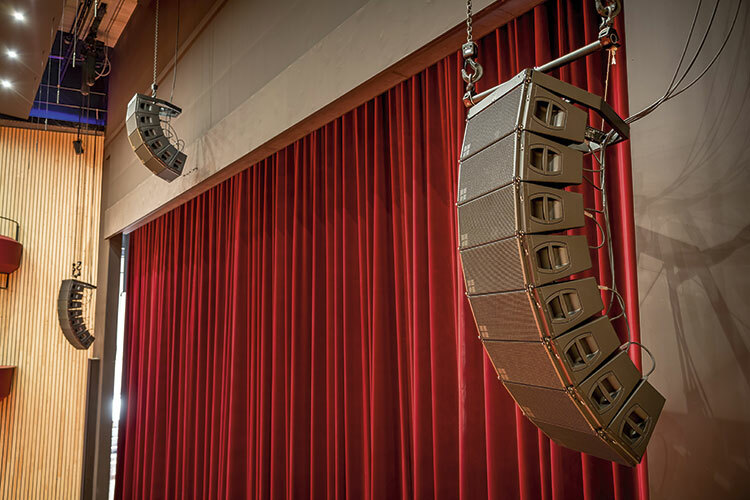 For the black box theatre, a d&b audiotechnik T series line array system is supplied with flexible grid systems, allowing clusters to be installed in different configurations. d&b audiotechnik MAX-II floor monitors, powered by D20 amplifiers, are used in all venues. For the control, DiGiCo SD-8 and SD-9 consoles, together with D2 IO racks, are used. The DiGiCo consoles connect to Lake LM44 processors, which, in turn, connect to Powersoft and d&b amplifiers. The paging and stage monitoring systems are based on Symetrix Radial processors, sending signals to Powersoft Ottocanali 100V amplifiers feeding over 200 Martin Audio loudspeakers throughout the building. Also, for communication between engineers and stage crew an extensive intercom system is created based on Clear-Com digital Eclipse HX Delta matrix frames.